A complete 24-volume set of the Encyclopedia Londoniensis published by John Wilkes between 1810 and 1820. Also known as the Universal Dictionary of Arts, Sciences and Literature, most surviving copies have been stripped of the numerous copper plated illustrations which characterised the original. Our copy was in good shape for its age and most of the illustrations intact. There was a great deal of interest in this lot and it sold for £4600. 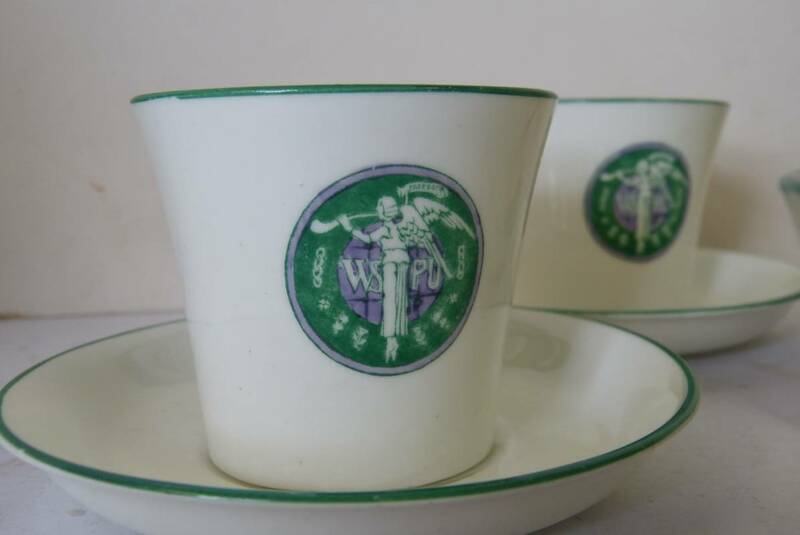 We were quite excited to offer for sale a collection of seven pieces of a tea service originally commissioned in 1909 by the Women`s Political and Social Union for their Exhibition on suffrage. The lot was comprised of three cups, three saucers, and a sugar bowl. The "Angel of Freedom" crest on the items was designed by Sylvia Pankhurst. This lot sold for £2550. A lovely 18th Century William Huckwell longcase clock sold for £1950 which was just under estimate. Also selling for £1950 but well over estimate was a Chinese hardwood jardiniere with inlaid metal and raised scroll floral decoration. And finally...it came from a car boot sale purchased for "practically nothing" said the vendor but the coromandel and ivory round trinket box with an ivory figure of a child on top and signed by S. Preiss sold for considerably more than nothing at £1350. The next auction is June 6. See you there!